Sunrise Minyan	Friday, May 3 at 6:15 am. Watch the sun rise over the ocean as you connect with God through prayer and inspiration. Meet at the Palmetto Park Gazebo for a special inspirational Minyan. Men and women are welcome. Coffee and donuts will be served after davening. Do You Shop at The Grove? 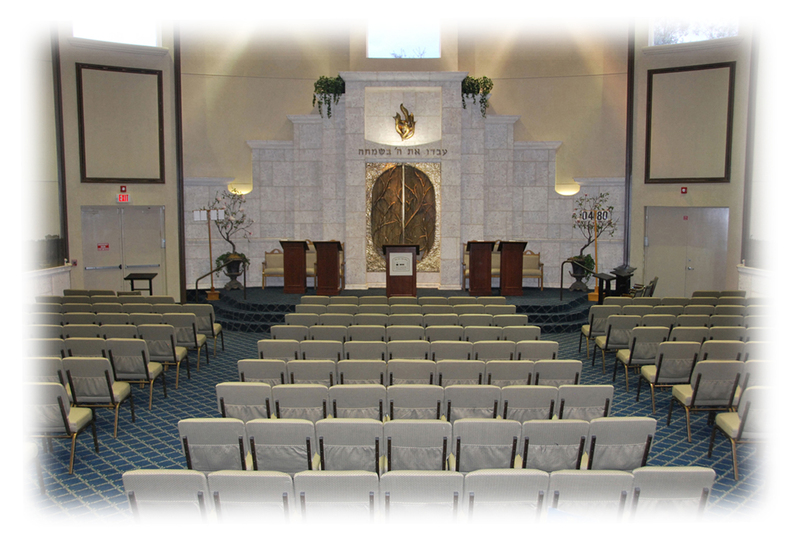 Boca Raton Synagogue is a vibrant, multi-generational, Modern Orthodox Synagogue serving the spiritual, educational and social needs of its diverse members. BRS provides multiple minyanim, comprehensive Torah learning opportunities, an extensive chesed infrastructure, and rich teen and youth programming. The largest orthodox Synagogue in the Southeast United States, BRS is also actively engaged in Outreach, Israel Advocacy, Multi-Level Adult Education, and more.  More than just a Synagogue, BRS is a community seeking to inspire individuals and families of all ages, backgrounds, levels of education and observance. Please join us for a Shabbos, a service or an educational or social program, and we are confident that you will find a warm and welcoming home. Sunrise Minyan at the Beach	On the Friday before blessing each new Hebrew month, BRS hosts a sunrise Minyan at the beach. Join us at the gazebo at the end of Palmetto Park Road for an inspirational experience that is guaranteed to touch your soul and leave you uplifted. Yom Yerushalayim Concert	Boca Raton Synagogue hosts an annual community wide program to celebrate the reunification of Yerushalayim. This year, we hosted a concert by the internationally renowned Etan Katz and remarks by Congressmen Ted Deutch and Allan West. Mission to Israel	Over the years, BRS has run many missions to Israel to tour, volunteer, study, hike and most importantly support our brothers and sisters. The Helen & Julius Reiter Institute of Judaic Studies	BRS provides comprehensive learning opportunities for beginners through advanced. Check out our brochure please click here and be part of a community engaged in learning and study. Hodu Bowl	The BRS Men’s club provides a full calendar of community programming and social events throughout the year. For many, the highlight is the “Hodu Bowl,” a Thanksgiving Day community wide flag-football tournament. Veshinantam Levanecha	Veshinantam Levanecha is a family learning program that takes place on Saturday nights during the winter. The program enables parents to spend quality time with their children engaging in Torah study. Following the learning, all of the children sing together with a live band and participate in a raffle for great prizes while enjoying snacks and refreshments. Social Action	Boca Raton Synagogue fundamentally believes that our mandate of Tikun Olam (repairing the world) means taking responsibility for the material, moral and spiritual welfare of society-at-large. In today's world, it means first and foremost fighting against attempts to delegitimize and demonize the State of Israel and to protect Jews around the world. It also includes participation in issues like alleviation of poverty, disease and hunger, stopping genocide in Sudan, fighting for human rights, aiding disaster victims, as well as promoting world economic and political stability around the world. BRS-AIPAC Partnership	BRS and its members are heavily involved in Pro-Israel activism. We are proud to partner with AIPAC including sending a large delegation to AIPAC's annual policy conference in Washington each year where we hear from leading American and Israeli leaders as well as lobby our elected officials. 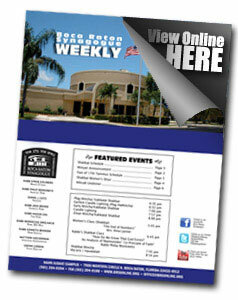 BRS Golf Tournament	Boca Raton Synagogue hosts a Golf Tournament each year. The event is an exciting day of golf, food, prizes, and friends. The tournament is a large fundraiser for the Shul and allows us to continue our important work in the community. Bone Marrow Drive	“Whoever saves a life, it is considered as if he saved an entire world” (Talmud). Boca Raton Synagogue teams up with Gift of Life Foundation to host regular bone marrow drives. Gift of Life is a donor registry for facilitating bone marrow, blood stem cell, and cord blood transplants for children and adults suffering from life-threatening illnesses.